All too often do riders forego safety for comfort and airflow during the summer months. In order to address this issue for Spring of 2017, Rukka has introduced the ultra-breathable Rukka AFT Gloves. In true Rukka fashion, the AFT gloves blend functionality, style, comfort and safety into a neat package. 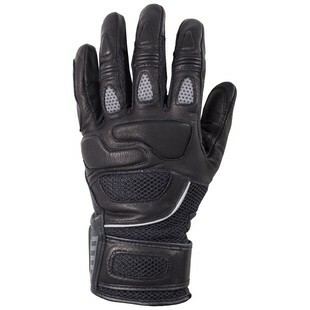 The new Rukka AFT Gloves are constructed primarily with leather to maintain safety and abrasion resistance. The glove features strategically placed air stretch mesh panels on the fore-knuckles, back of the hand, cuff, and the outside base of the thumbs. With the new Rukka AFT Gloves, riders don't have to sacrifice safety for the comfort and airflow that comes with mesh. On top of all of this, the AFT gloves are backed by Rukka's two-year warranty.